With our seasonal incentives well underway, now is the perfect time to find your ideal new home and be in by the New Year. 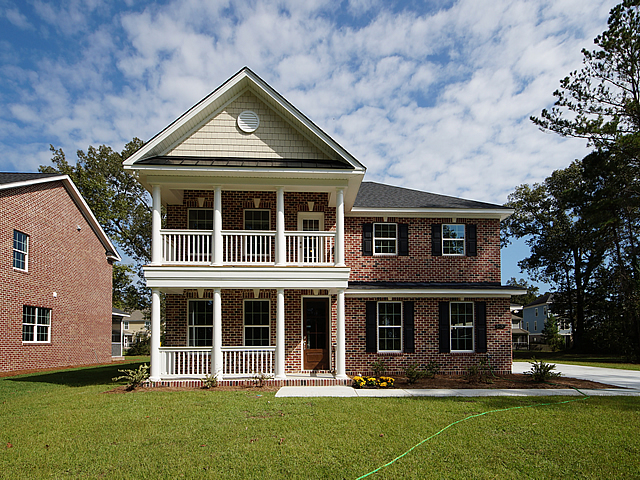 We have plenty of Move In Ready homes in our award-winning Charleston communities to choose from. Each of our new construction homes are thoughtfully designed and constructed with meticulous attention to detail and care. 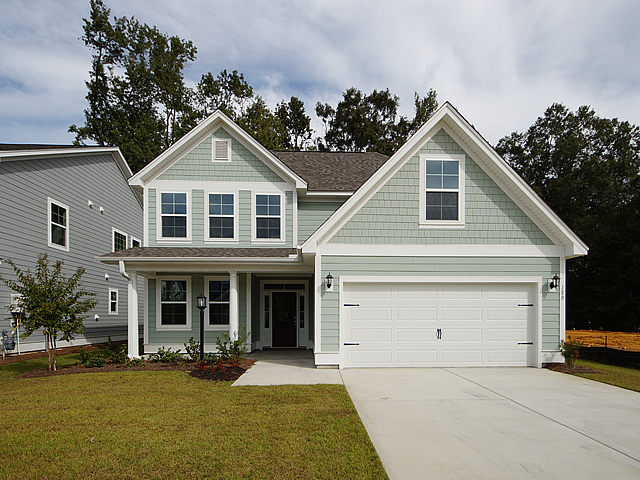 These homes can be found within our welcoming neighborhoods from Mt Pleasant to Summerville to North Charleston, all located in the most desirable areas chosen for convenience and natural beauty. Southern living at its finest, this classic brick home is tucked off the beaten path in North Charleston within charming Cedar Grove community, mere minutes from Boeing, the Air Force Base and more. With a community pool and clubhouse, the welcoming neighborhood of Cedar Grove is a family-friendly oasis with sidewalk-lined streets and marsh views. 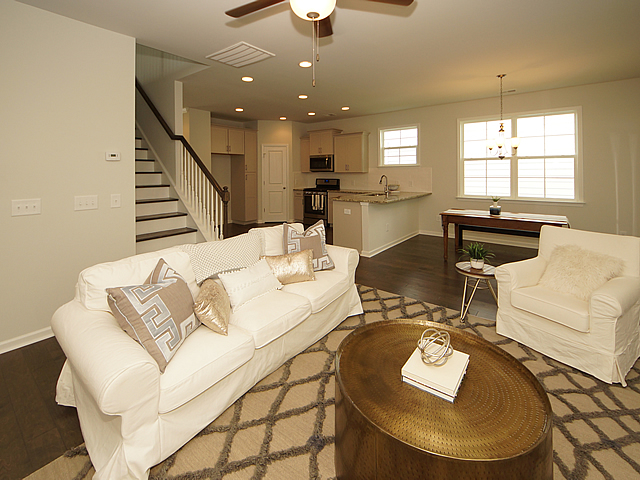 The move in ready Lincoln home plan has five spacious bedrooms. The traditional layout includes a separate dining room for formal meals. Hardwood floors, a raised fireplace and a soaring ceiling give the grand family room character, which opens to a gourmet kitchen with eat-in kitchen island. A discrete butler’s pantry tucked off the kitchen provides extra storage and space for a bar. The downstairs master bedroom offers ample privacy from the rest of the home. The luxurious master bathroom is a personal spa, complete with dual vanities, separate soaking tub, and tiled shower. The spacious upstairs includes four additional bedrooms, two bathrooms and a loft space perfect for home office or playroom. Enjoy the privacy of the wooded homesite from the back screen porch or one of the double front porches. With a three car garage, this incredible opportunity won’t last long! The perfect blend of form and function, a open floor plan maximizes every square foot of this gorgeous southern home. Large windows and a back screen porch draw in ample natural light, flooding the downstairs and opening up the home to the the many trees surrounding the property. The formal dining room boasts a chair rail and several windows. An open kitchen features stainless steel appliances, granite countertops and a sunny breakfast area overlooking the back porch. A large downstairs master bedroom opens to a decadent master bath, with a separate soaking tub and tiled shower. Upstairs, a spacious bonus room is ready to become a second den, playroom or home office. 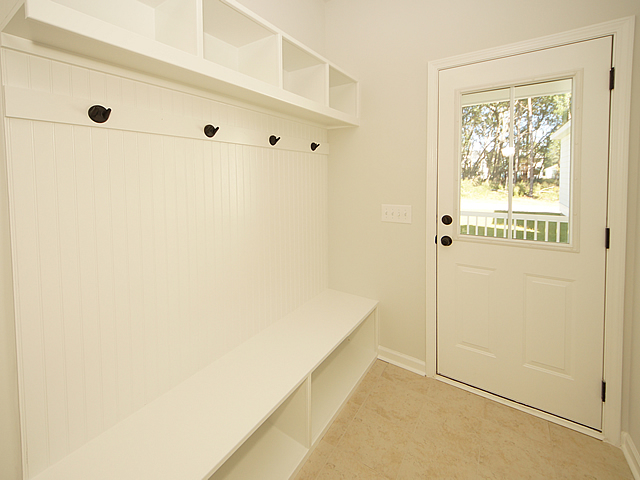 The thoughtful 3 bedroom design features extra large closets for added storage. Located in charming Highland Park and just minutes from historic downtown Summerville and a short drive to Charleston, this unique opportunity will not be available long priced just under $300,000! 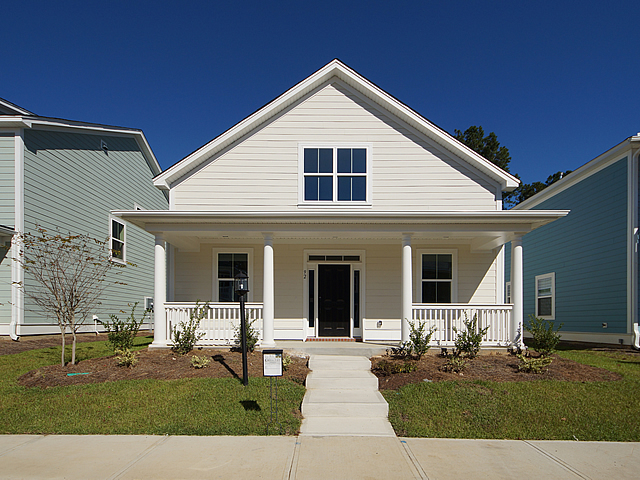 This double porch, fiber cement home in the coveted Abbey at Park West in Mt Pleasant represents coastal living at its finest. 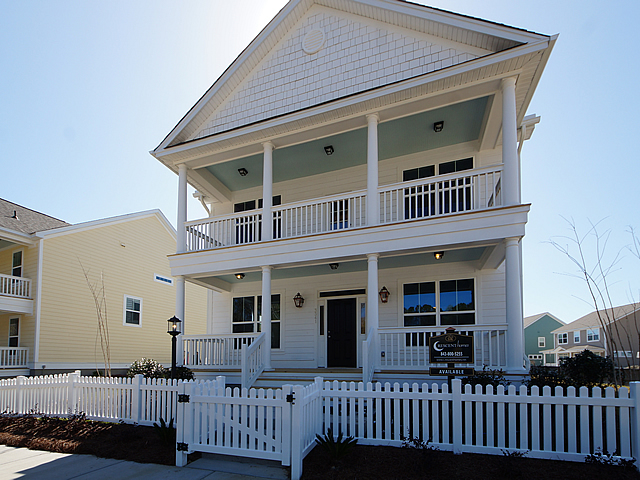 From the blue ceilings above the double front porches to the shiplap walls, every detail of the three bedroom, two and a half bathroom home is decidedly Charleston. Upgraded trim throughout the home and hardwood floors on the first floor give the beautiful home a refined edge. French doors open up to a traditional dining room, while a private downstairs study offers space for a home office or formal living room. White walls and coastal board and batten strips give the open flow family room and gourmet kitchen a beachy charm. The sun drenched upstairs master bedroom features a soaring tray ceiling, opening up to a private master bathroom the second story porch. Perfectly situated just inside Park West but off the main thoroughfare, the quiet community backs up to the woods for added privacy. Park West is Mt Pleasant’s premier master planned community, with shopping, dining, schools, churches and a 59 acre recreation complex. 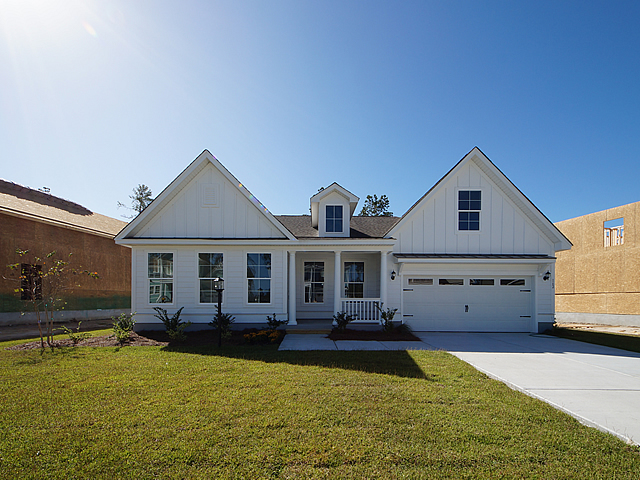 Tucked into the award-winning master planned community of Cane Bay in the small town of Summerville, this charming four bedroom ranch plan maximizes space with thoughtful design and an open floor plan. Features include hardwood floors throughout the main living areas and elegant trim, such as picture frame molding in the formal dining room. In the gourmet kitchen, find granite countertops, stainless steel appliances, upgraded designer lighting, a gas range and separate wall oven. The tranquil master bath with a tile shower and separate soaking tub offers a private oasis to unwind. Ample windows throughout draw in ample natural light, while a sizable screen porch off the back opens to the large private back yard. With a 300 acre lake system, 8 mile bike path and many lake trails, Cane Bay is the #1 top selling community in South Carolina, and The Coves at the Lakes is one of the community’s most welcoming neighborhoods. This classic four bedroom cottage is located just three miles from historic downtown Summerville in the Dorchester II school district. The charming, southern home is nestled within the welcoming community of White Gables. 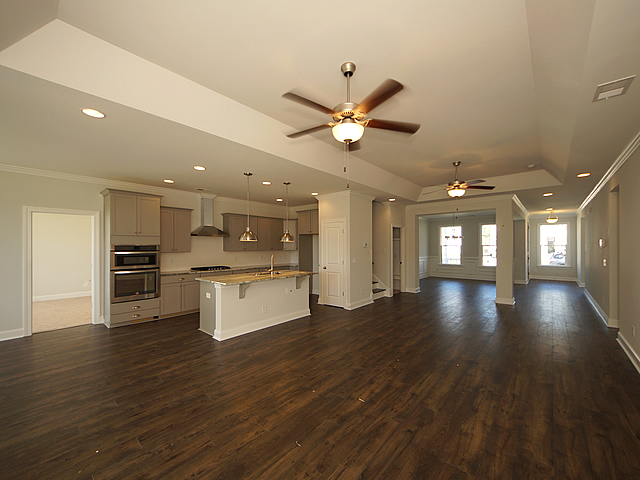 Incredibly spacious, the thoughtful home plan utilizes every inch of the 2,561 square feet. Stunning hardwood floors run throughout the main living areas. Premiere trim surrounds the fireplace, giving the fiber cement home a polished finish. Walk in the front door and find yourself in the light filled living room with working fireplace. 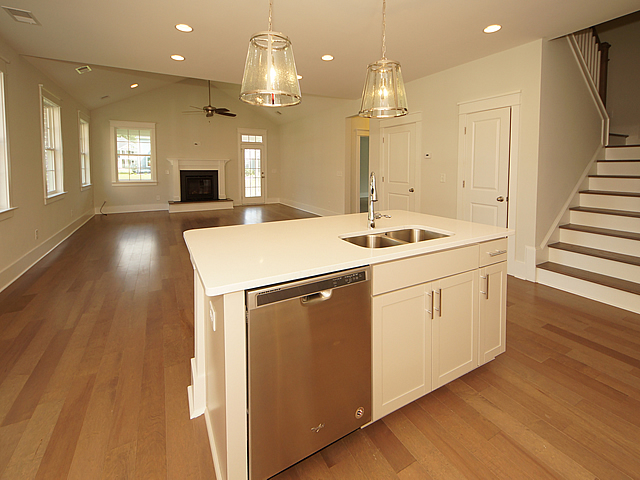 The large room opens to a gorgeous kitchen with stainless steel appliances, shaker cabinets and a eat-in countertop ready for stools. Tucked behind this openflow space is the downstairs master suite, boasting a large walk-in closet and private access to the laundry room. The large master bathroom has a separate tile shower and tub. Upstairs, three additional bedrooms and two bathrooms offer space to spread out. A back screen porch, adorable mud room with personalized cubbies, and detached garage round off this gem.